Im a blogger Dottie...a rebel: Fun at the Fair! 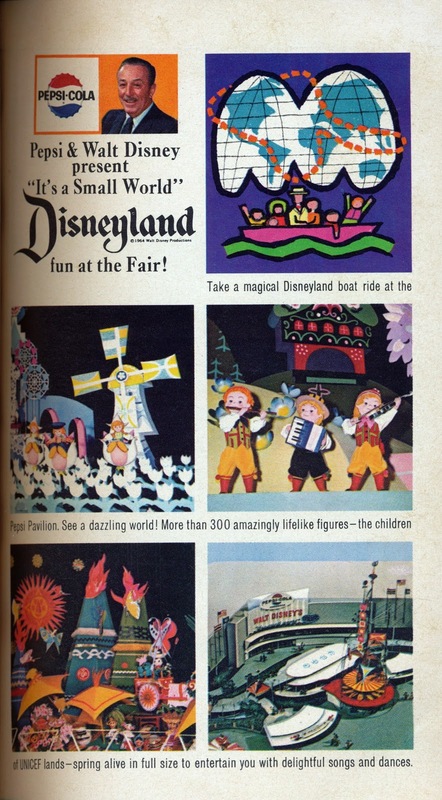 These advertisements are from The Official Guide to the 1964 World's Fair. As you probably know Disney contributed four exhibits (plus Rolly Crump's Tower of the Four Winds). 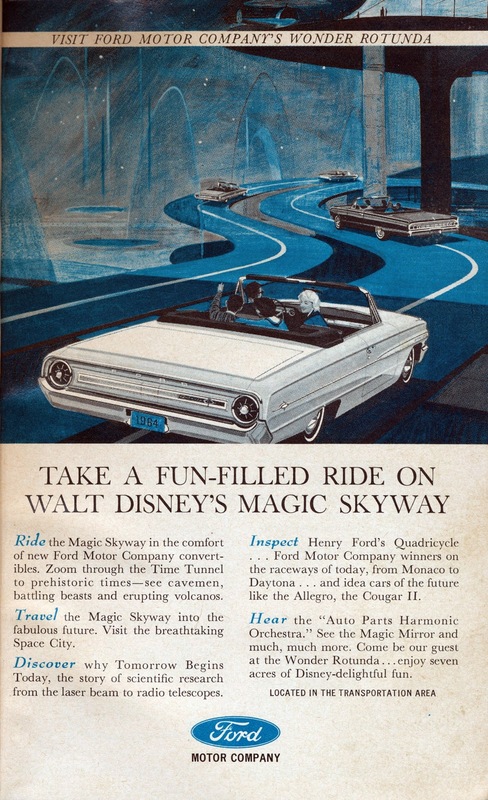 I'll have to look through the guide again to see if there was any mention of Mr. Lincoln and The Carousel of Progress. The Skyway seemed like a really great attraction, it's too bad Ford did not allow Walt to take the whole thing back to Disneyland.